When you see OTD after a therapist's name, it means he or she has completed approximately seven years of college and holds a Doctorate in Occupational Therapy. At Crete Physical Therapy, out talented and certified team will select the right treatment to best fit your needs. 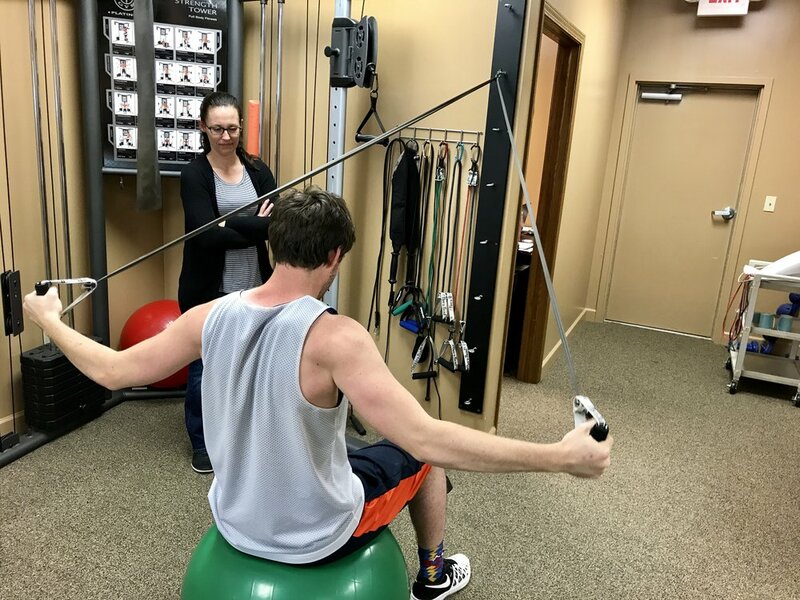 Therapist using their hands to move the joint, bone or muscle to assist range of motion, postural stability and alignment, and manual lymph drainage (a specialized type of massage used to stimulate the lymphatic system). We help our patients address their unique needs regarding the activities of their daily lives. This also includes education on adaptive equipment and/or safety strategies for patients, family members, and caregivers. This includes activities that assist patients in meeting particular goals, such as increased fine motor activities. Perhaps a patient wants to achieve fine motor control, strength, dexterity, in-hand manipulation, and grip and pinch strength in order to return to an occupation, or meaningful activity. We'll help them achieve goals that are meaningful to their independence. Therapeutic exercises prescribed by our therapists are designed to target weak tissue, regain range of motion, lengthen tightened tissue, add stability of a joint, and increase circulation to reduce edema. Research shows that exercises are the most effective intervention used by therapists to eliminate chronic pain. Copyright © 2018 Crete Physical Therapy. All Rights Reserved.